The agri-food sector is made up of many players: from small honey producers to large international groups, packaging needs are real but all very distinct. CDA’s complete range of labelling and filling machines has a key advantage: semi-automatic or automatic, there is a labeller, filler or monobloc adapted to each need. As a French manufacturer of labelling machines, filling machines and complete packaging lines, CDA has been working with many professionals in the agri-food sector for 30 years. Whether you are looking to accurately fill and label your containers with a liquid, fluid, viscous or pasty product (honey, jam, oil, olive oil, vinegar, syrup, fruit juice, soup, mustard, sauce, etc.) CDA offers a wide range of semi-automatic and automatic machines that perfectly meet the needs of very small businesses, SMEs and large groups. We design filling and labelling machines or complete packaging lines adapted to all speeds and evolving at the same pace as changes in the agri-food sector, whether in terms of hygiene standards, safety standards or packaging innovations. You will choose a semi-automatic labeller from this range if your labelling needs correspond to a small production or a specific activity. Whether you are a beekeeper, a producer of canned meat, fish, vegetables, ready meals or even olive oil, a semi-automatic labeller will allow you to combine precision and efficiency for a regulatory labelling of your products. Are you looking to optimise your packaging rates and do you need an automatic labelling machine that is precise and in line with the strict legal and hygienic requirements of the agri-food sector? Our range of labelling machines focuses on reliable, precise solutions that are adapted to the regulations in force. Automatic filling machines adapted to the viscosity of your product. Very precise, CDA filling machines meet the strict hygiene standards imposed on agri-food products. For an integral, complete and regulatory food packaging, the monoblocks and complete lines produced by CDA are adapted on a case-by-case basis according to the nature of the product to be packaged and its viscosity. Regulated labelling, mandatory information (expiration date…), strict hygiene standards, the agri-food sector is full of constraints to be taken into account when purchasing a packaging machine. The strength of CDA? Its expertise in agri-food packaging to find a solution adapted and customized to each request and its specificities. An omnipresent sector in our daily lives through the very wide range of consumer products on the shelves of supermarkets, delicatessens and local markets, the agri-food sector shines thanks to the flavour of its products but also through the care taken in filling and labelling to distinguish it from an infinite number of other products. The nature of the product, the shape and material of the container, the attractiveness of the packaging, traceability constraints, hygiene standards, production rates, are all variables to be taken into account when purchasing the packaging chain. Beyond the constraints common to companies in the agri-food sector to package their finished products (such as ready meals, canned food, drinks and many others), there are many specificities between the players who package very different products with varying production quantities. Despite all these requirements, CDA has already been able to support many projects, both those carried out by very small businesses and large international groups, by offering solutions that are increasingly adapted, simple and effective according to the interlocutor and their needs. To do this, the CDA range consists of machines specially adapted to the sector and its specificities. Small production VSEs may plan to move from "all manual" packaging to a more professional and efficient semi-automatied process, with the acquisition of a semi-automatic filler or labeller. In its range, CDA has developed semi-automatic labelling and filling machines that match perfectly the needs of small companies in the agri-food sector. SMEs may, for their part, wish to switch to automatic packaging of their production in order to improve their productivity, to develop their product range and to remain attractive to their end consumers. 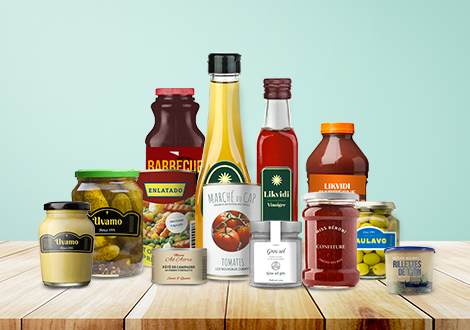 CDA's scalable labelling and filling machines allow these small and medium-sized food companies to project themselves over time on the evolution of their production thanks to equipment capable of evolving according to their needs. Large groups that have already acquired packaging lines may have new needs following the expansion of a product range, innovation or the launch of a new product. Acquiring a new packaging line that corresponds to the new characteristics of the product then becomes a necessity. Our monoblocks and complete packaging lines are ideally integrated into this approach thanks to their suitability for the various needs of food packaging and CDA expertise.